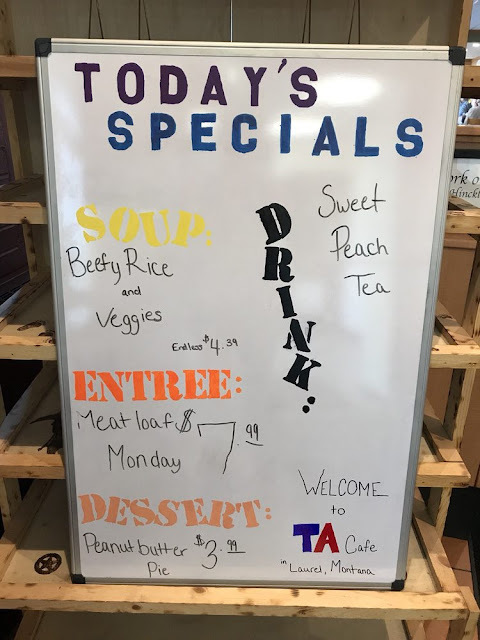 I didn't go into the cafe, which is now called the TA Cafe, but I can tell you about the truck stop convenience store. It is under construction right now and very cramped in the main part of the store. There is no Transflo machine right now, but there are a few diesel pumps. Only one kind of coffee, unless you want to make instant Sanka decaf lol. The coolers are on the fritz right now; everything is frozen. They have Pepsi, Diet Pepsi, Mountain Dew, and 7UP for fountain sodas, though. Unfortunately, you have to walk through construction to get to the bathrooms, which is dark with lots of exposed wires and pipes. Very scary right now, I wouldn't recommend stopping here.